t's that time of year when the temperature tends to drop and dressing warmly is appropriate for all outdoor activities. So why not keep warm in our one-of-a-kind cozy Quarter Zip Sherpa Pullover! 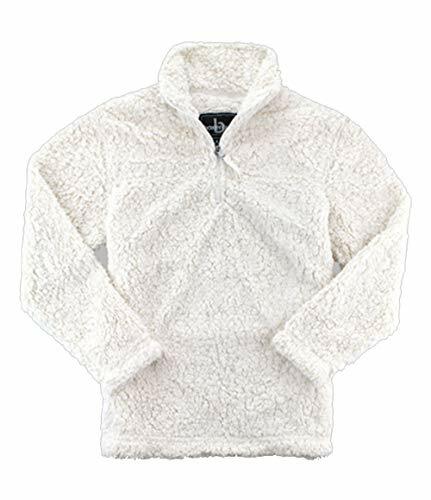 Crafted carefully from 100 percent Polyester Sherpa, this comfortable pullover features a self-fabric collar and half-moon back yoke with a twill tape inside the neck trim. It's the perfect pullover for warmth. Boxercraft's offers a variety of casual styles for women, men, and kids with growing selections for babies and accessories. Boxercraft apparel is casual, comfortable, and stylish, featuring the latest trends in everyday casualwear. If you have any questions about this product by Boxercraft Adult Quarter Zip Sherpa Pullover-black-large, contact us by completing and submitting the form below. If you are looking for a specif part number, please include it with your message.